Bill Monteith is a Financial Consultant. He earned his Masters of Business Administration from Wayne State University and his Bachelors of Science from Central Michigan University. 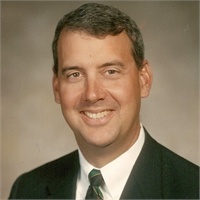 Bill’s professional background includes being a Financial Consultant at Merrill Lynch, Commercial Insurance Agent with Comerica Insurance Services, Regional Manager for Bundy-Usui International, and a business owner in the area of Industrial supply. Bill resides in Dearborn with his wife and son. He has served on the Board of Directors and is a former president of the Dearborn Country Club. Bill enjoys golf, travel with his family and is involved in youth sports with his son.